Denis Shepherd, born on 5th June, 1952, has for decades been one of the mainstays of Aberdeen AAC. A more than useful athlete, he has covered every single track event ranging from 100m all the way up to the half-marathon, plus all four jumps and the decathlon. When I say every single track event, I mean them all, including 110m hurdles, 400m hurdles and steeplechase. 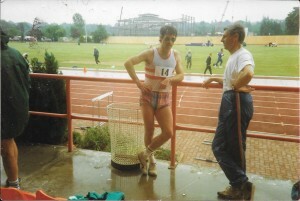 As a veteran he has creditable marks at 100m, 200m, 400m, 800m, 400m hurdles plus high jump and long jump. 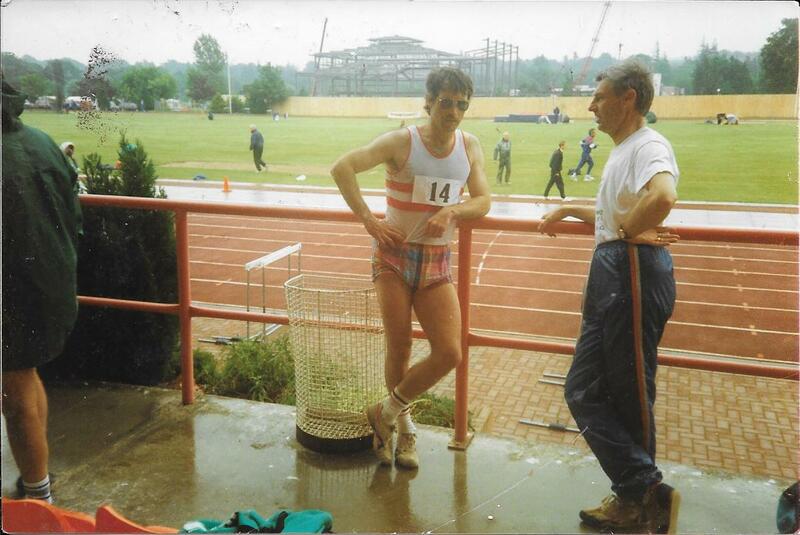 When he ran 2:01 for 800m as a veteran, it was a Scottish best. If that were all there was to Denis, then it would be a creditable athletics career to say the least but there is more to come. I drove an Aberdeen AAC athlete, a senior Scottish internationalist, down to Stretford in Manchester in the mid-90’s to run in a British Milers Club 800m. He finished a good third in an excellent field and turned in a time of 1:49.3. He was delighted and added that Denis would be happy that the club record was now below 1:50! Denis was, and still is, the Aberdeen club statistician. He keeps the records and is meticulous about keeping to the rules. For club records and best performances, the athlete has to be at the very least a second-claim club athlete or there is no club record or even certificate awarded. Denis says that on records, “I pass the information on to the committee who make the decision but I try to keep to the rules. However, so long as an athlete is a member at the time they qualify regardless of whose colours they are in.” There is also an annual Aberdeen statistical book that is a wonderful piece of work, well produced and exhaustively researched – all from Denis, without payment and solely for the good of the club and its athletes. Where did it start for Denis? I’m always intrigued how people got involved in athletics in the days before ‘sport4all’ or the ‘running boom’ made it a fashionable thing to do. In Denis’s case, he went to Alford School from the top end of Primary School until the end of Secondary 4, where the PE teacher was a Mr Harvey who was keen on athletics and entered the pupils in various inter-school events. Secondary 5 and 6 were spent at Inverurie Academy where the teacher responsible was Brian Pratt, assistant games master, and he helped Denis to develop as a high jumper and hurdler. It was then on to Aberdeen University where he continued his progress as an athlete. His range of events has been referred to above and we should look at his personal best performances. 100m – 11.9; 200m – 23.6; 400m – 51.8. 800m -1:56.1; 1500m – 4:07.7; 5000m – 16:46; 10000m – 35:33.1. 110 metres Hurdles – 17.4; 400m Hurdles – 57.1; 3000m SC – 10:21.6. HJ – 1.68i (1.67); PV – 2.45; LJ – 19ft ¼”; TJ – 12.13; Decathlon – 3563. 100 – 12.1; 200 – 24.6; 400 – 53.0; 800 – 2:01.0 (Scottish best at the time); 400H – 59.9. And if we check out the archive at www.scotstats.net, we find that he was ranked nationally over 400 metres hurdles in 1973, ’74, ’75, ’77, ’78, ’79, ’80, ’82, … ’92 and ’93. When asked what his best performance was, he replied that he wasn’t sure about the best, but they were probably some of his vets running which included 59.9 for 400m hurdles in a Men’s League match, and also doing a Scottish best of 2:01.1 for 800m as a non-scoring athlete in a North East League match, defeating the club’s scoring runners in the process. It beat club mate Hunter Watson’s club record by 0.1 seconds. 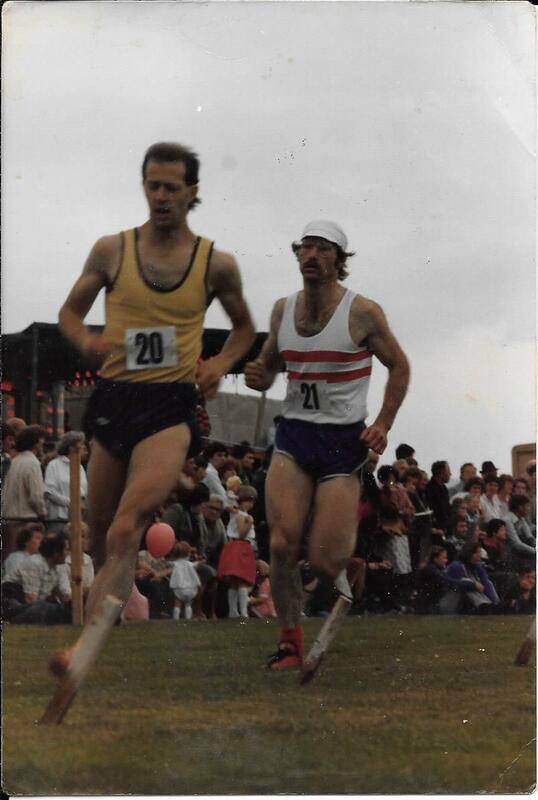 There was also some satisfaction as a veteran to defeat a senior runner, and the previous year’s winner, Alan Banks, in the 800m at Lochaber Games. From 1975 Denis was coaching while competing and bringing his times down – eg the 400m hurdles pb was 59.3 in 1975 but came down to 57.1 in 1979. There had been various unspecific medical problems of a glandular nature which had been bothering him since he was about 25 years old which eventually forced his retirement in late ’93. There has been some competition in recent years although it has been infrequent due to these problems as well as the more usual sprains and strains. 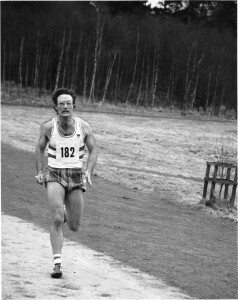 As an administrator, he became a member of the Aberdeen AAC club committee from August 1975 until October 1999. 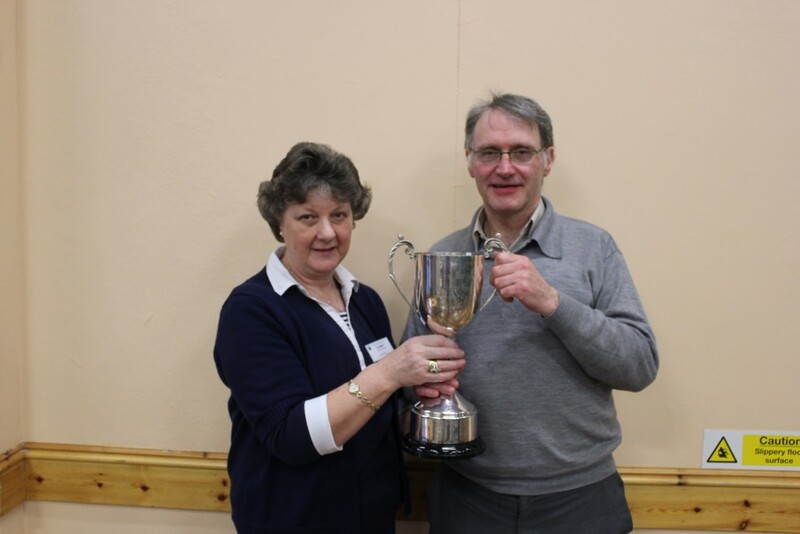 Among the posts held he has been assistant secretary, men’s captain, cross-country captain and ladies secretary. Outwith club positions, Denis has also been secretary/treasurer of the North-East League from 1976 until it disbanded in 1996, also has served as minutes secretary of the Petrofac (previously Grampian) League for many years, a post he still holds. Runner, coach, administrator – quite a load but it was not the end of the story, not by a long chalk. He is also a qualified track judge, timekeeper and marksman and although there are no recognised qualifications for seeding or for announcing, Denis is experienced in both. As a coach he is a level 2 coach in sprints and middle distance and has coached SAAA champions in various events of whom the most successful was Paul Allan, a GB junior decathlete. In addition to competing for the club and coaching other athletes to compete for the club, he has acted as team manager for many years including 1995 when Aberdeen won the Scottish men’s league for the first time in its history. The Year Book is compiled by Denis with assistance from Mark Davidson, Fiona Davidson, Joyce Hogg, Alasdhair Love, Marina Millar and Bob Masson. It includes approximately 30 full colour photographs of club members, a quiz and several colour adverts placed by local businesses. It is far and away the best of its kind that I have seen, bigger, brighter and more detailed. Denis was kind enough to complete the questionnaire and it is time to look at some of some of his replies. What has athletics brought you that you would not have wanted to miss? The buzz of going to competitions and the ‘high’ after doing well. The satisfaction of seeing others doing well and knowing I had helped them either as a coach or as an official. What changes, if any, would you make in the sport? I think the coaching of youngsters should be more regulated. Coaches go on courses which teach them that youngsters should not specialise too early or do certain types of training; but in practice in clubs new members who show promise in one discipline are often sent to a specialist coach who may not have the time or inclination to devise different schedules for different ages of athletes, or to organise sessions with other specialist coaches so that they can reach their full potential in all events. I also think that coach education should be standardised. 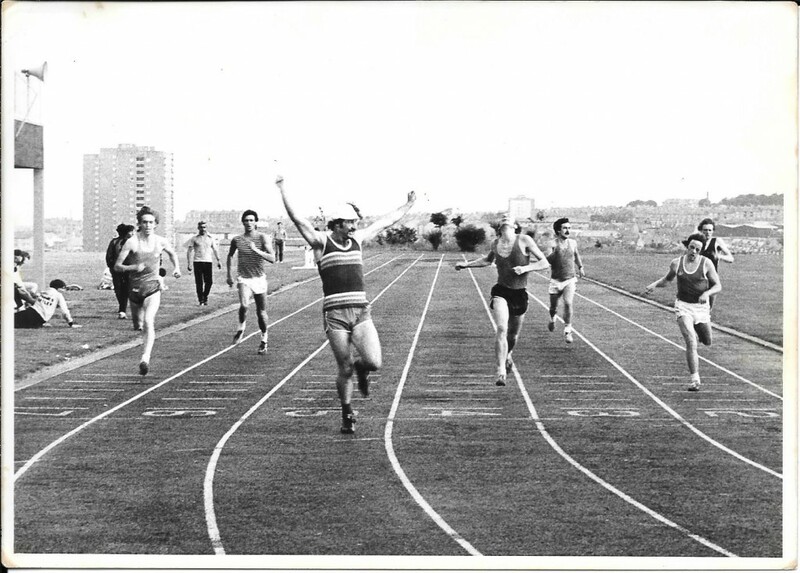 As an illustration, when I did the middle distance coaching courses, a well-known national coach gave us examples of speed endurance sessions, presumably for a middle distance (800/1500m) athlete. Soon afterwards I asked another locally based coach to have a look at a programme I had done for one of my athletes which included some speed endurance sessions based on the above. 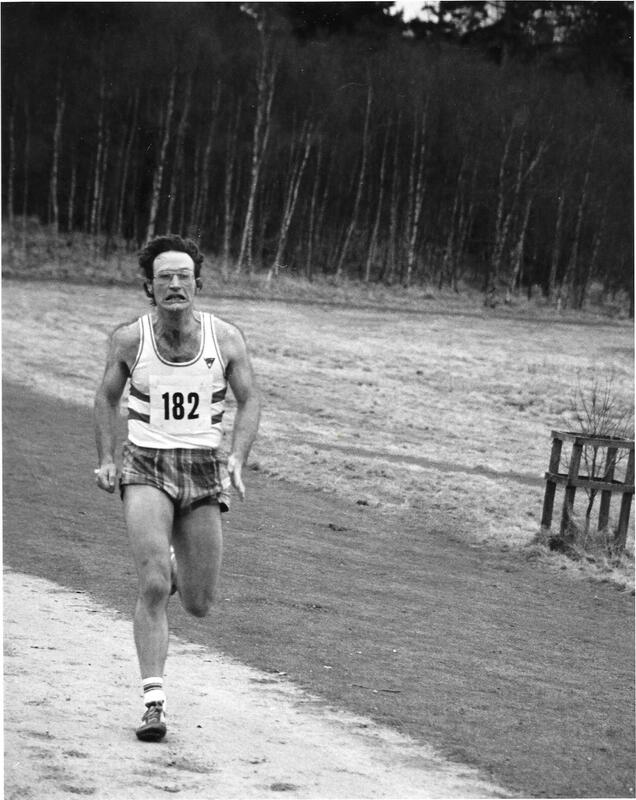 He wrote against these, “This is not speed-endurance!” The course training was apparently for cross-country and not 800/1500m as the qualification should have been. Administration-wise I think that precise results should be available within a certain period, as often there are only provisional results available months later. Sometimes SAL don’t publicise their own championship results at all! Results should also automatically show the distances of races, often the compilers have to trawl through various results websites to find the distance and sometimes, as I was told with regard to the schools road championships, the course has not been measured at all. I also think race organisers should be forced to include actual age groups in the results – M40, W50, etc instead of saying V or SV as nowadays there are no uniform definitions of these and they can mean anything. Any work as Press Reporter, club magazine, etc? I edited the ‘Aberdeen Athlete’ (comprehensive club magazine) for fourteen years. For the past 26 years I have produced the club year book. I have also provided results to the ‘Press & Journal’, ‘Courier’, ‘Herald’ and ‘Telegraph’ and done reports for ‘Scotland’s Runner’. I am currently results and editorial contributor to ‘Athletics Weekly’. Currently? Apart from the above athletic activities, my competitive instincts are now geared towards traditional entertaining, and this year I won the Scots Verse trophy at Kirriemuir, mouth organ at Kirriemuir and Keith, and story telling at Kirriemuir, as well as the free-style (accompanied) traditional singing at Aberdeen. But above all, I won a bothy ballad event for the first time at Strichen, and, as a result, have been invited to compete in the Bothy Ballad ‘Champion of Champions’ event in Elgin Town Hall on February 13th, 2016.